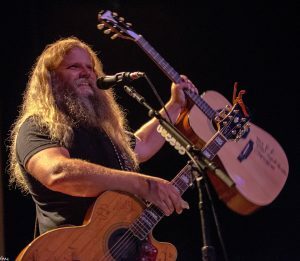 “Country Boots Cancer,” the Aug. 19 benefit concert featuring Jamey Johnson and hosted by the Nikki Mitchell Foundation, raised $40,300 for Johns Hopkins Medicine. One hundred percent of the profits will be donated to the new Pancreatic Cancer Precision Medicine Program (PCMoE) at Johns Hopkins Hospital. This program will offer precision testing, imaging, biopsy, assessment and treatment plans to all patients with aims of improving care for patients currently diagnosed and to support research efforts to find a cure. Through the precision medicine program patients can have their tumors sequenced to detect potential mutations that could guide their therapy, eliminating a ‘one size fits all’ approach. The event’s speakers included Nikki Mitchell Foundation President Rhonda Miles, four-year pancreatic cancer survivor Lisa Eidelberg and Johns Hopkins Medicine surgeon Dr. Matthew Weiss. 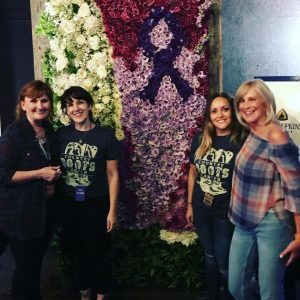 Nikki Mitchell Foundation would like to give a special thanks to Lisa Eidelberg and Lindsey Manos of JHM, who spent countless hours fundraising, recruiting volunteers and donations and promoting the show and the cause. 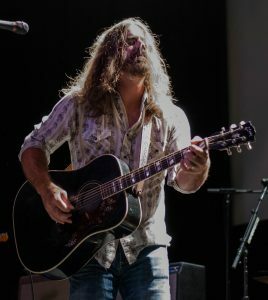 The Nikki Mitchell Foundation is named in honor of Waylon Jennings’ beloved late manager of 22 years, Nikki Mitchell, who died of pancreatic cancer in 2013. One of Mitchell’s last wishes was for her foundation to continue to support Johns Hopkins, where she received excellent care and felt wholly supported on her cancer journey. Artist photos by Brandon Amos at Low Light Photography.